La Piñata is not only expanding its square footage. It has recently, after more than three years of research and crafting, introduced La Piñata Tequila. Available only at the restaurants for the time being, they offer a Blanco - which is in all their house margaritas - and a Reposado, which they feature in their top shelf beverages. Chances are if you live in, work in or visit Alameda, you've been to La Piñata on Park Street. A staple for almost 20 years, this dining destination has been doling out top-notch margaritas and high quality Mexican food from early in the morning to late at night. Now occupying roughly a city block, La Piñata has seen significant expansions over the last several years. It comes as little surprise then, that this expansion reached Bay Farm Island officially on Wednesday, Jan. 7. The good people at what is now known as La Piñata 7 opened ahead of schedule just to meet the eager demand. Since then they have seen the same success as their sister site on Park Street. Francisco Javier Guzman and family opened the first La Piñata in Hayward in 1983. With quick success came other sites including San Leandro, Alameda, Newark, Fremont, Concord and finally Bay Farm Island. A family-owned operation, La Piñata has always adhered to creating a dining experience with one simple mantra: "quality food and exceptional service." This is exactly what you get. The service is warm, attentive and welcoming. The food is unpretentious with just the right blend of authenticity and creativity. It also has just the right amount of gourmet touches to elevate it above other restaurants of its ilk. Of course, you can just come for the marvelous margaritas, chips and salsa and walk away perfectly happy as well. La Piñata is not only expanding its square footage. 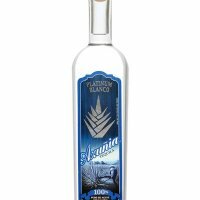 It has recently, after more than three years of research and crafting, introduced La Piñata Tequila. Available only at the restaurants for the time being, they offer a Blanco — which is in all their house margaritas — and a Reposado, which they feature in their top shelf beverages. An Anejo is in the works but Bay Farm Island manager Jessie Barajas says that because they are serious about their tequila, they're going to take their time. The renovation cost just over $100,000. Whether it is the new bar, the new layout, the new decor or the marble bathrooms, it was clearly money well spent. It's refreshing to see transformations like this done right. The fact that they spared no expense in this economic climate is even more of a testament to the Guzman family's growing legacy. What is most striking about the La Piñata story is that it is success you can root for. Unlike many chains that become big, corporate, and then cookie-cutter, La Piñata has retained the things that make it special — good times, good food and a family-owned feel. The people are all friendly and seem to enjoy what they do. There is care at work here — you can see it on their faces. Just ask Bay Farm Island bartender Rafael, who explained that he started working at the Park Street location as a busboy, thinking it was a means to an end. Several years later he's tending bar and couldn't be happier to be working for the Guzman family. Barajas is excited about the new location for many reasons, not the least of which is that breakfast has finally come to this side of the Bay Farm Island Bridge. They also plan on setting up a delivery service for the residents of Bay Farm, making it even easier to get that cheesy mole enchilada, those irresistible carnitas or that surprising Piñata azado. You'd better hurry though, because dine in, take out, or delivery, the Azado — like many of their monthly specials — ends soon. The Bay Farm Island location did not have a grand opening. They didn't need one. All they had to do was open the doors and, as Barajas put it, "Let the people in." La Piñata at Bay Farm Island is open from 7 a.m. to midnight seven days a week.